Each semester, students from across the University of Melbourne learn to perform traditional and popular music from around the world. 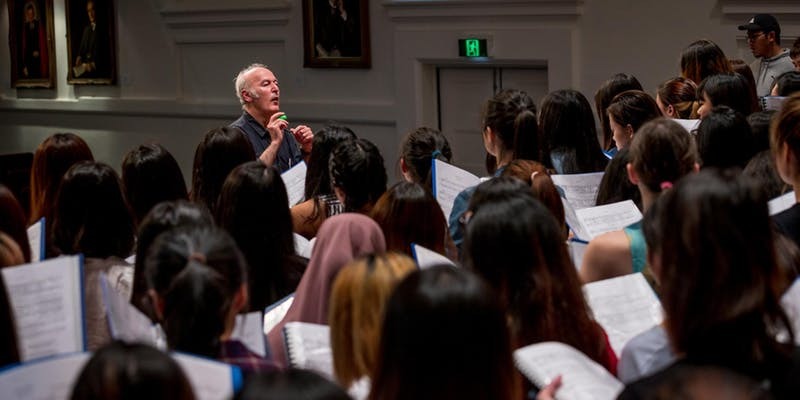 This evening, Dr Joseph Jordania leads a choir of 200 students in singing traditional and contemporary songs from China, Africa, Europe and the Americas. Adam Simmons then leads a choir of over 50 shakuhachi students in performing traditional and contemporary Japanese flute pieces. Featuring the World Music Choir and Shakuhachi Ensemble.